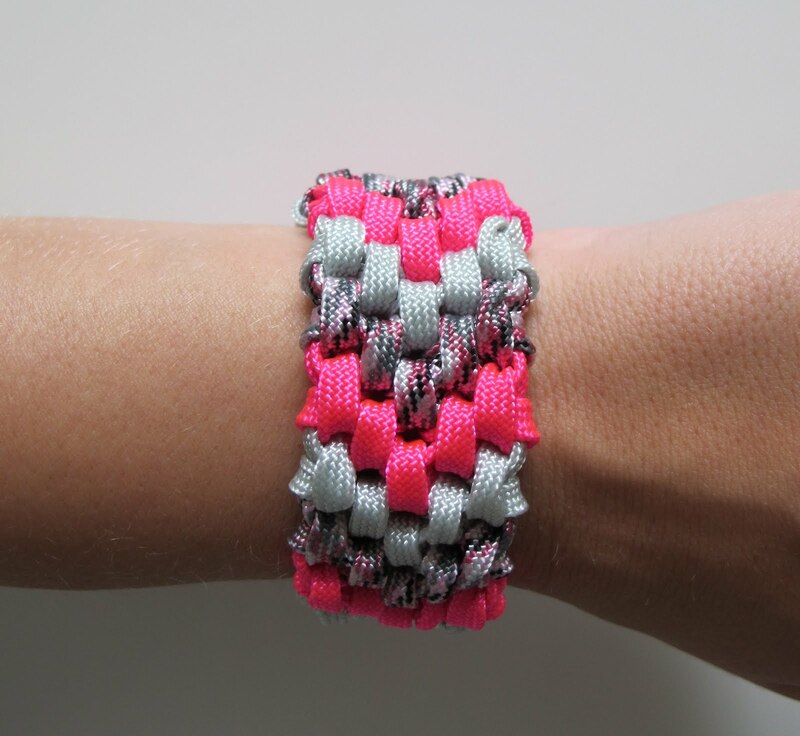 Do you like friendship bracelets? Friendship bracelets are typically hand made from embroidery floss or thread and are given to a friend as a symbol of friendship. 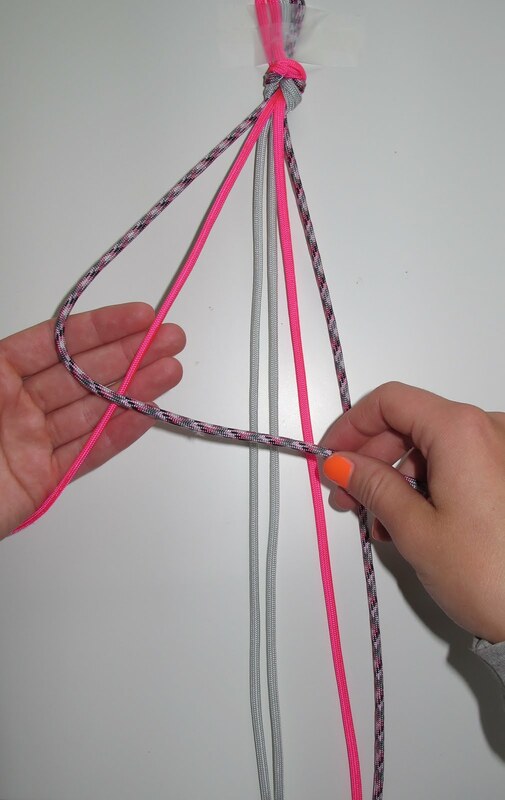 However, you can easily make one with other materials, such as yarn, nylon cord and even shoelaces. 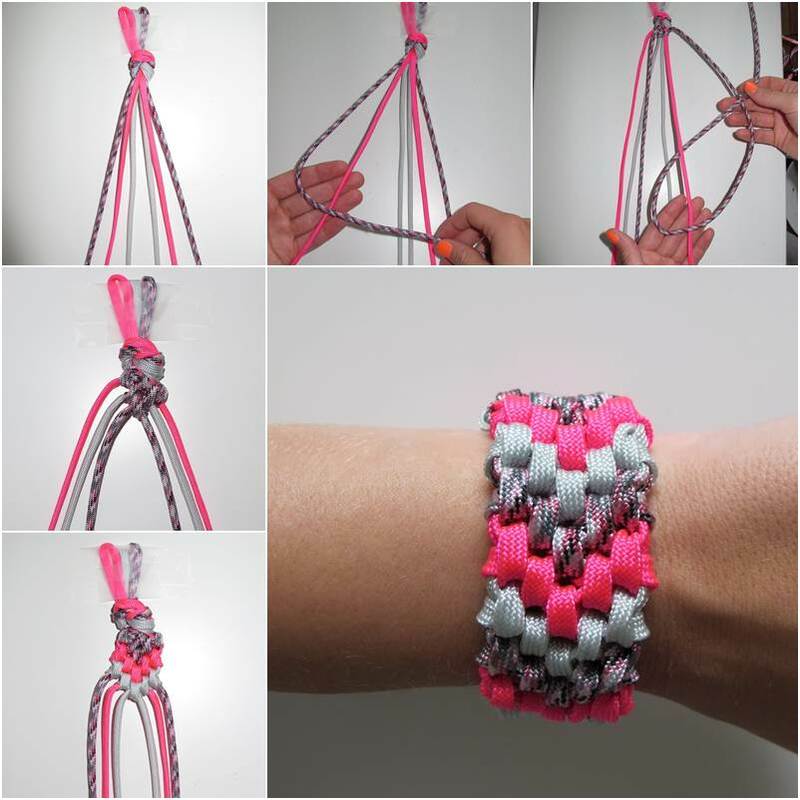 Here is a simple DIY tutorial to show you how to make a 6-strand braided friendship bracelet. 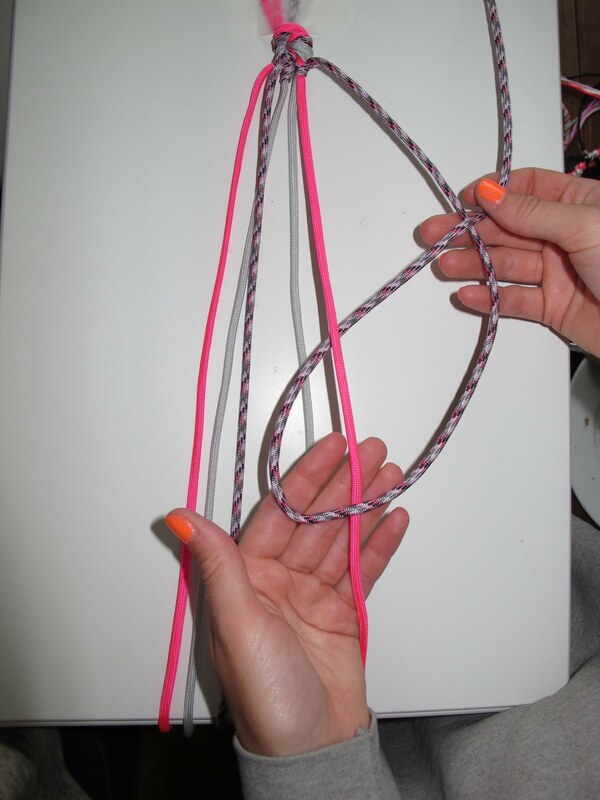 You may use different colors and thickness of cords to make it. 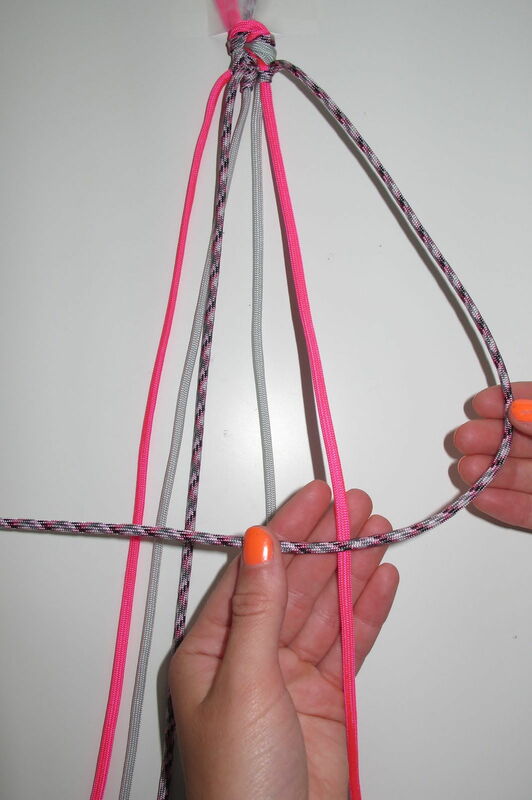 Let’s make this friendship bracelet to add to our fashion collection or send as a gift for friends! 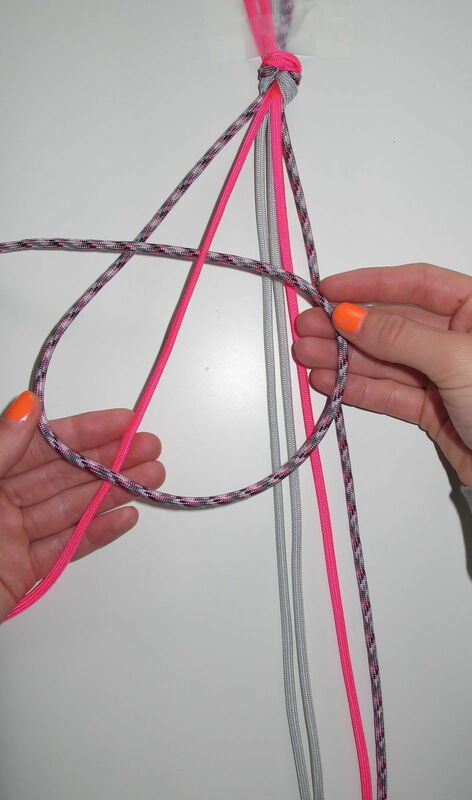 Tape the cords on the table and place them as shown in the picture so there will be 6 strands of cord. 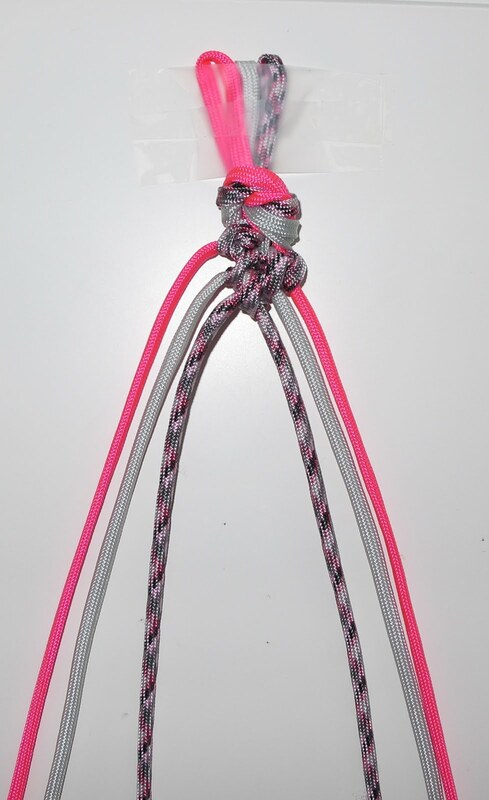 Take the leftmost cord (the patterned cord) and make a knot with the pink cord, as shown in the picture. Tighten the knot. 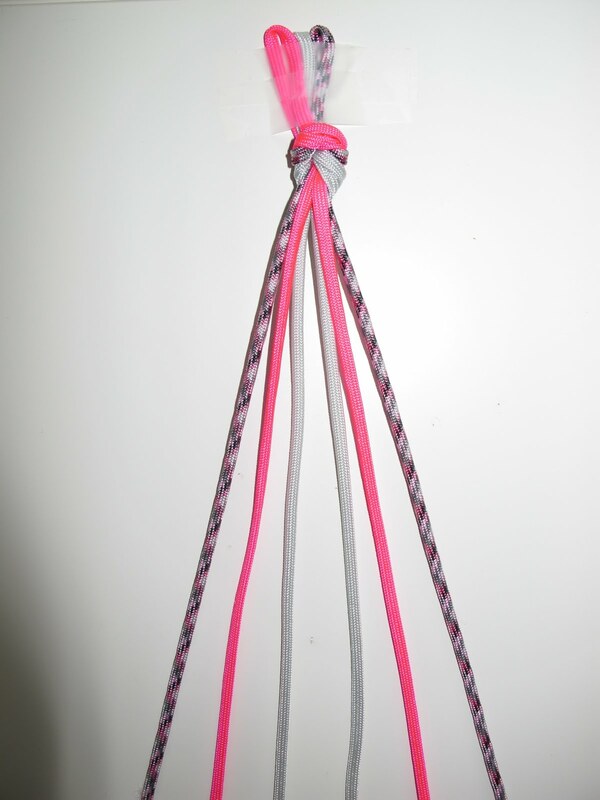 Then make a second knot with the grey cord and tighten it. Now the patterned cord should be in the middle. Do the same from the right side. The first set of nodes is done. 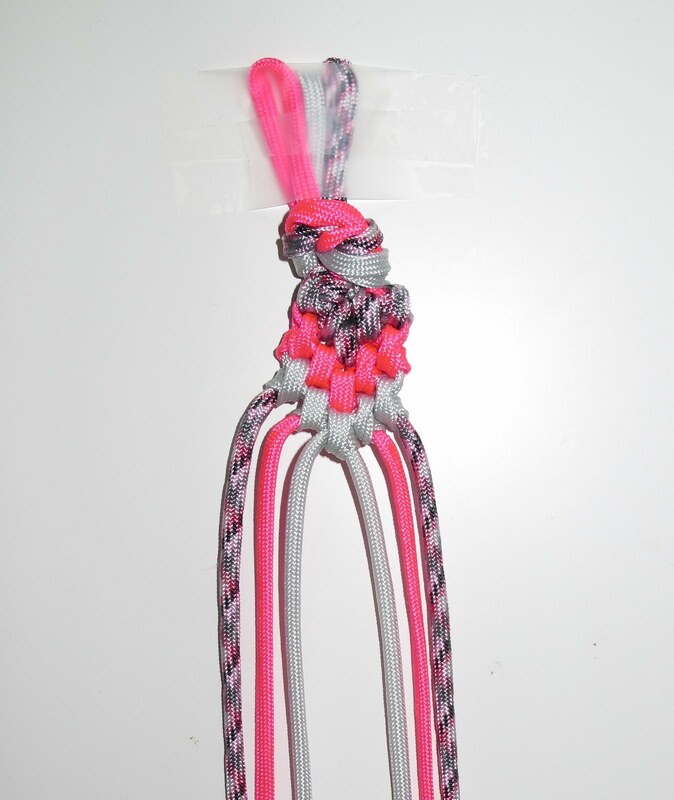 Continue making the knots with the outer cords to the left and then the right to form the pattern until the bracelet is long enough. Connect the bracelet by gluing end caps on.